Dysautonomia (or autonomic dysfunction, autonomic neuropathy) is an umbrella term for various conditions in which the autonomic nervous system (ANS) does not work correctly. 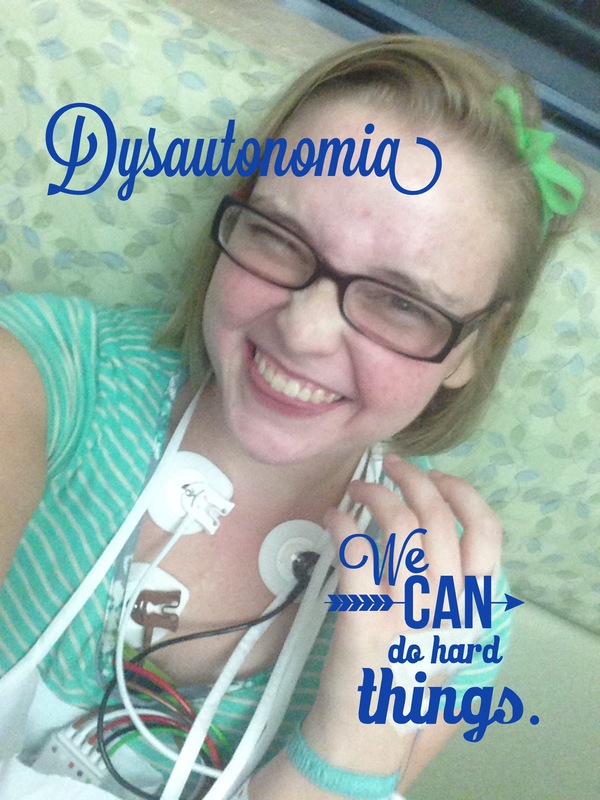 Dysautonomia is a type of neuropathy affecting the nerves that carry information from the brain and spinal cord to the heart, bladder, intestines, sweat glands, pupils, and blood vessels. Dysautonomia may be experienced in a number of ways, depending on the organ system involved, for example difficulty adapting to changes in posture, or digestive symptoms. Postural Orthostatic Tachycardia Syndrome (POTS) is an intolerance to being upright caused by a dysfunctional Autonomic System. Our autonomic system controls all the parts of the body we do not have to think about such as temperature control, heart rate/blood pressure regulation and stress response. For me POTS and Dysautonimia cause me to have seizures due to lack of blood and/or oxygen to my brain, POTS also causes me to have blackouts if I stand to quickly or if I stand for a long time, I also randomly faint and get dizzy due to high or low heart rate and high or low blood pressure, my body can;t regulate my heart rate and blood pressure, during a titl table test my heart rate would go from 38 to 150 back down to 69 and then to 92 back down to 35 my blood pressure does the same thing, since my body can not regulate my blood pressure or heart rate, I have to be very careful and watch it as it can be horridly high or horridly low. Neither one of those is a good thing.